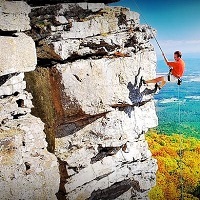 For those who live for thrilling experiences, Rappelling and Rock Climbing are must-try activities. Tayal Tour & Travels has expertise in organizing Rappelling & Rock Climbing activities for travelers. In order to ensure complete safety of the participants, both the Rappelling & Rock Climbing activities are conducted under the supervision of experts.